This is it. You have seen how to define neural networks, compute loss and make updates to the weights of the network. 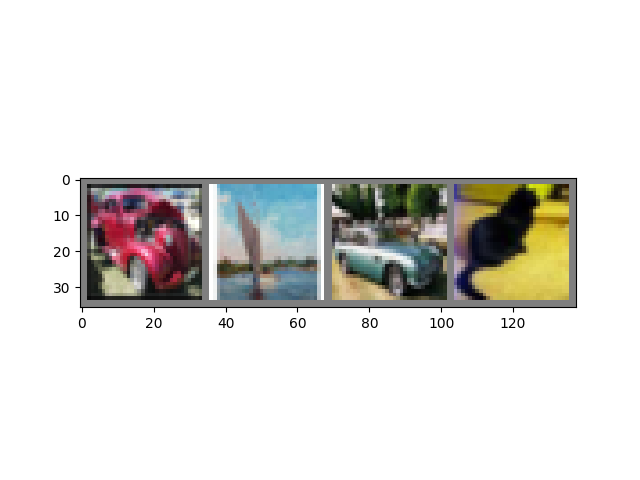 Specifically for vision, we have created a package called torchvision, that has data loaders for common datasets such as Imagenet, CIFAR10, MNIST, etc. and data transformers for images, viz., torchvision.datasets and torch.utils.data.DataLoader. For this tutorial, we will use the CIFAR10 dataset. 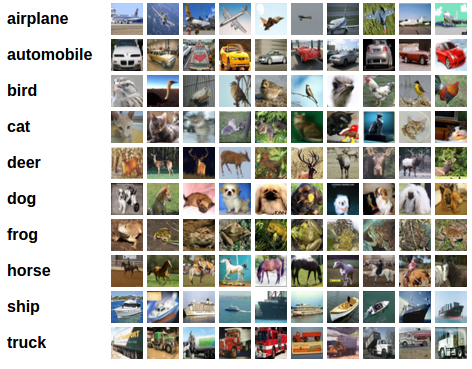 It has the classes: ‘airplane’, ‘automobile’, ‘bird’, ‘cat’, ‘deer’, ‘dog’, ‘frog’, ‘horse’, ‘ship’, ‘truck’. 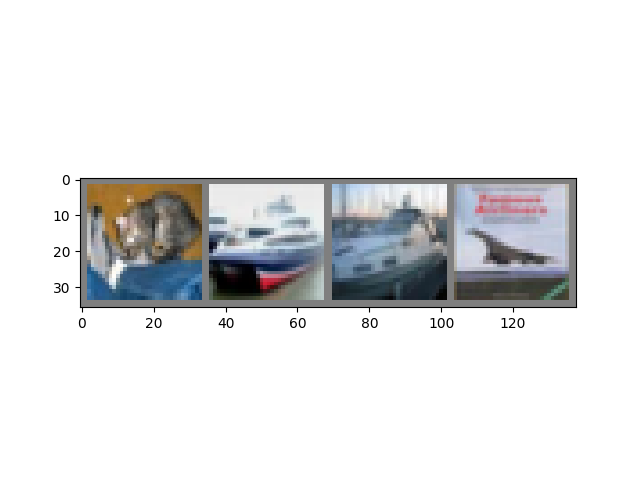 The images in CIFAR-10 are of size 3x32x32, i.e. 3-channel color images of 32x32 pixels in size. Using torchvision, it’s extremely easy to load CIFAR10. Let us show some of the training images, for fun. Copy the neural network from the Neural Networks section before and modify it to take 3-channel images (instead of 1-channel images as it was defined). Let’s use a Classification Cross-Entropy loss and SGD with momentum. This is when things start to get interesting. We simply have to loop over our data iterator, and feed the inputs to the network and optimize. Okay, first step. Let us display an image from the test set to get familiar. Let us look at how the network performs on the whole dataset. That looks waaay better than chance, which is 10% accuracy (randomly picking a class out of 10 classes). Seems like the network learnt something. How do we run these neural networks on the GPU? Just like how you transfer a Tensor onto the GPU, you transfer the neural net onto the GPU. The rest of this section assumes that device is a CUDA device. Why dont I notice MASSIVE speedup compared to CPU? Because your network is realllly small. Exercise: Try increasing the width of your network (argument 2 of the first nn.Conv2d, and argument 1 of the second nn.Conv2d – they need to be the same number), see what kind of speedup you get. Understanding PyTorch’s Tensor library and neural networks at a high level. If you want to see even more MASSIVE speedup using all of your GPUs, please check out Optional: Data Parallelism.